Most speech delays are caused by listening problems — if your child cannot listen (process) accurately, vocabulary is not learned or used when speaking. Children with speech delays are at risk readers. Speech delays are most often caused by a language processing disorder. These processing deficits also impact phonemic awareness and therefore reading. Even as speech improves — due to speech therapy or just naturally — the underlying deficit remains as an impediment to reading. The processing deficit that causes most speech and language delays will respond to interactive exercise. Therefore, it is worth being proactive. Know the language milestones by age and think long-term, beyond the current speech difficulty when taking action. About one in six children have some type of language development delay or communication disorder. Of those, about two thirds have speech, voice, or language problems associated with hearing loss, and about one third have similar problems not associated with impaired hearing. Children with language difficulties — receptive and/or expressive — are at risk for reading and learning difficulties in later life. Early intervention is critical. Delayed speech is different from a language delay. A speech delay is typically categorized as either phonetic delay — immaturities in how consonants and/or vowels are articulated in particular contexts — and/or phonological delay — immaturities in the organization and systematic use of speech sounds to produce meaningful words. Language delay is the failure to develop language capabilities at the expected time. There may be receptive language delay or expressive language delay, or these may co-occur. Speech delay is a sub-set of language delay. Specific language impairment is another narrower description, where delayed language development is an isolated condition. In the same way that receptive language delay can co-exist with expressive language delay, each of the following causes of speech delay may also co-exist, e.g. it is possible for language development in children to be related to a hearing impairment and social deprivation at the same time. Hearing Impairment. As with all child communication difficulties one should always check the hearing: impaired hearing may interfere with language development (and speech development). There may be intermittent loss owing to glue ear (otitis media), regular ear infections in early life or there may be a more persistent conductive hearing loss or sensori-neural hearing impairment. Developmental Delay. Sometimes, the cause of a speech and language delay is a general developmental delay that affects other skills also. This is fairly common, with around 6% of children exhibiting some sort of language delay in combination with a general developmental delay (in, for example, physical growth, gross motor control, fine motor control). Social Deprivation. The environment can influence biological, cognitive and behavioral development. Children require appropriate language stimulation in order to maximize their development. Language and therefore speech is learned through absorption — studies show that children who are not exposed to a steady flow of natural language are more likely to experience language delays. Challenging Behavior. Some children exhibit socially inappropriate behavior that may put themselves or others in danger and/or may limit their access to everyday community facilities, such as schools, libraries, riding the bus, and so on (Emerson, 1995). This can lead to the child being withdrawn, socially isolated and prone to mood changes. Such factors are known to correlate with language delay. The causes of challenging behavior may be medical, psychiatric and/or environmental. Children with a language or speech delay tend to have difficulty clearly processing the language they hear — language sounds muddy, like listening to sound through water — making it hard to use in daily life. The is called a language processing disorder. Many children need more language interaction than occurs in daily life to fully develop their language skills. In most cases, language delays will respond to one-on-one speech therapy or listening therapies that provide added opportunities for extra language processing stimulation. Our software is effective because it develops the under-exercised language processing skills at the heart of most speech and language difficulties. Speech delay has long been a concern of physicians who care for children. The concern is well founded, because a number of developmental problems accompany delayed onset of speech, most notably reading, listening in class, higher level logic and reasoning. 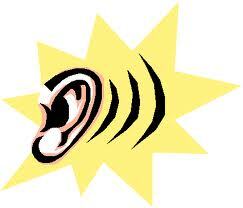 In addition, speech delay may have a significant impact on personal, social, academic and, later on, vocational life. Speech therapy includes listening practice that over a long period can permanently improve language and therefore reading skills. Online phonics software, like Earobics, can help with near term speech and language skills, but does not address underlying cognitive delays. Brain-based programs, notably Fast ForWord, address the underlying cognitive delays, taking advantage of brain plasticity to rewire language, learning and reading. The first two options — speech therapy and phonics software that mimics speech therapy — work do not go after the underlying difficulty. They work around the underling problem using extra practice as a therapy. Only the third option, the brain-based cognitive software treats the source of the delay. Gemm Learning uses Fast ForWord software to provide speech and language help for children 5 years of age and older. The software targets the underlying processing difficulties helping expressive language delays and receptive language skills. Most importantly, Fast ForWord is cognitive software. It targets not only speech and language skills, but also brain fitness, proficiency in essential cognitive skills — working memory, attention, processing and sequencing — which are the building blocks of learning and reading, often under-developed in cases of delayed speech.